As a thank you for helping us with the design, we will give you 40% off every item we sell...for life. We built a notebook folio to help you carry the things you need most with your notebook. The solid, clean construction make it a great tool for any number of applications. We would like your input on the final design elements of size, material, and color. Below, we have laid out the choices for each characteristic and once the polls close, we will set out to manufacture the most popular design. We would like to make all of them, but for now, we need your help narrowing it down for our next Kickstarter launch. 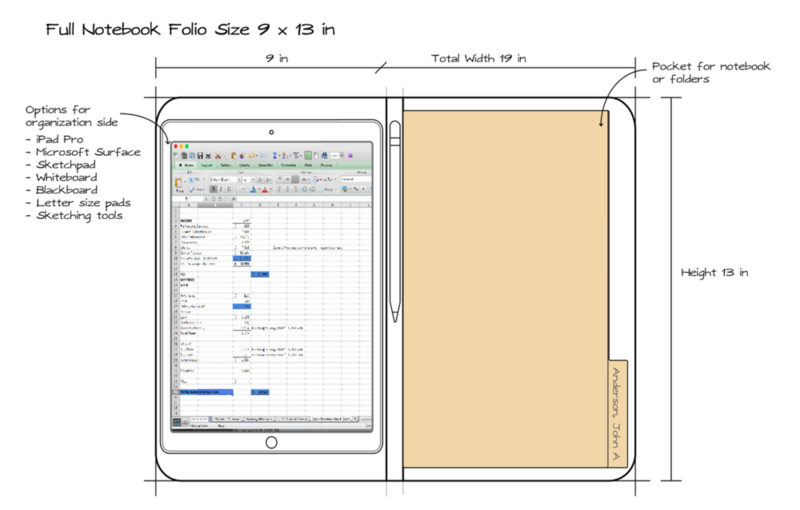 Whether its going in your pocket, purse, messenger bag, or briefcase, we want you to like the size of this folio. We have four choices of size to consider, so here are the elements of each, and what they may be able to help you carry. You will notice we have not offered genuine leather. As an animal friendly company we have decided not to offer this choice. If you have other ideas, just add them to the comments. We are outsourcing the folio color to you. 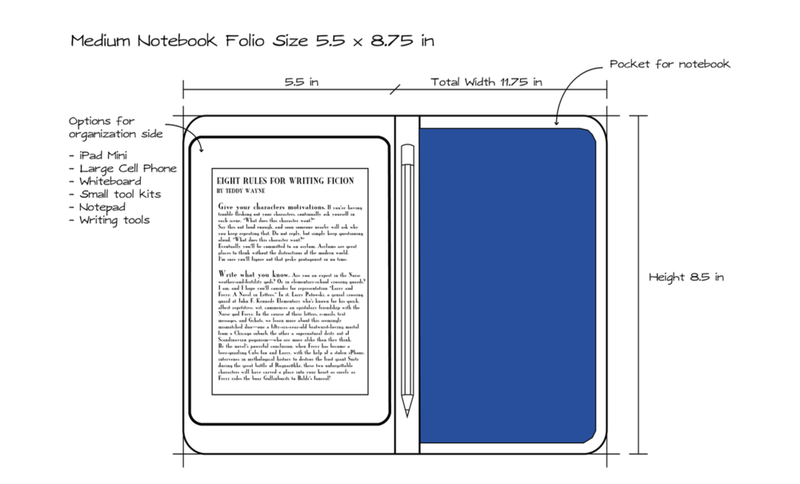 You get to decide how this notebook folio looks in your bag, on your desk, and in front of your clients. Choose the color that matches your form and need. Thank you! We will be in touch when the polls close to let you know the results. The 40% discount is intended for the contributor’s personal use. Please see our Terms and Conditions (Section 4) for details. We will only offer this once, and will only be available while the polls are open.